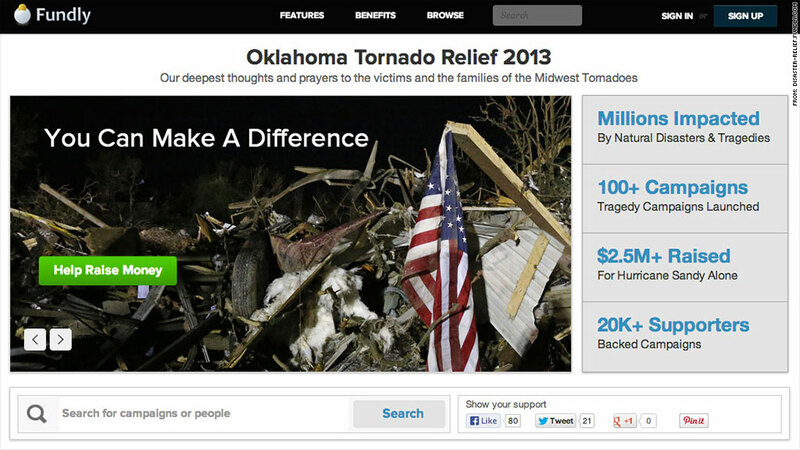 More than $600,000 has been donated to fundraisers for Oklahoma victims via crowdfunding site Fundly. Crowdfunding websites are seeing donations pour in following the deadly tornado that ravaged Moore, Okla.
More than a dozen separate campaigns popped up on crowdfunding site, Fundly, less than 24 hours after the tornado swept through the Oklahoma City suburb, killing at least 24 people, injuring more than 200 and destroying hundreds of homes. The 2013 Midwest Tornado Relief campaign, which was launched on Fundly by nonprofit Mercury One, has brought in more than $1 million from over 13,000 donors -- significantly more than its original goal of $50,000. 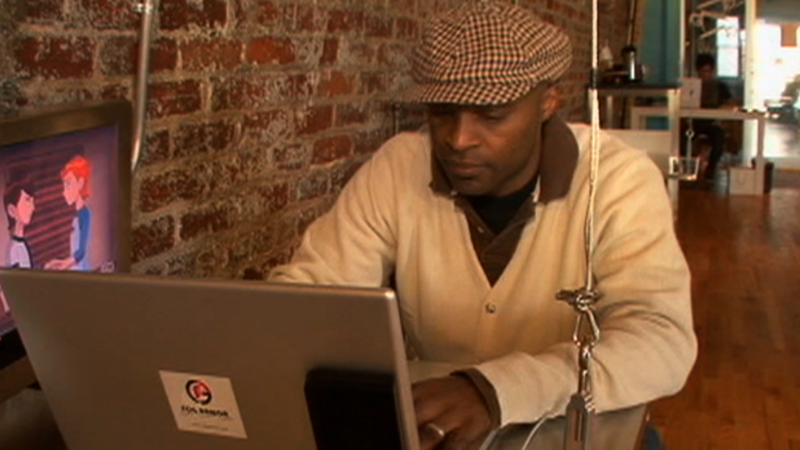 Another crowdfunding site, HopeMob, has received $41,000 from more than 300 donors. Along with setting up campaigns for general aid efforts, many friends and families of victims are also launching fundraisers on GoFundMe for specific families who lost everything in the tornado. One fundraiser says its raising money for a couple who lost their home and are expecting a baby soon. So far, it has raised more than $7,000 -- surpassing the initial goal of $5,000. And nearly $2,000 has been donated to a fundraiser claiming to help a son who lost his mother in the storm. Crowdfunding is becoming increasingly popular in the wake of disasters. More than $1 million had already been raised for Boston victims just days after the April 15 bombings. And thousands of dollars were raised for West, Texas victims following the fertilizer plant explosion. To protect against scams, sites employ different methods to vet campaign organizers like researching them on social media, assigning a coach to work one-on-one with them and verifying that the bank account provided by the organizer is actually registered under that person's name. However, it can be difficult to confirm a fundraiser's identity 100%. Dave Boyce, CEO of Fundly, says that the direct impact of donating to a crowdfunding campaign is appealing to donors. "Needs are met directly -- a family in need, a church in need, a neighborhood in need. There is no large, bureaucratic organization the money has to filter through," said Boyce. It also gets the money in the hands of victims right away, since fundraisers can be set up within minutes, he said. Using crowdfunding specifically for medical expenses is also a growing trend. A 2-year-old West,Texas victim, for example, has received more than $26,000 in donations so far for the medical bills that her family is racking up after the blast flung her against a wall and pummeled her with glass. GiveForward, a crowdfunding site specifically for medical expenses, expects to see fundraisers being set up for Oklahoma in coming days, once the medical needs in the community are known.